advance the science, art, and practice of Aerospace Medicine and the mission of the United States Navy. foster professional development of its members and enhance the practice of Aerospace Medicine within the Navy. strengthen professional and fraternal ties. 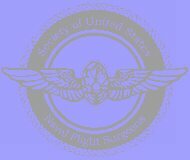 optimize the solidarity and professional standing of Naval Flight Surgeons and other aerospace medicine professionals.